Winter is almost over, spring is just around the corner and that means there are a lot of things happening. This weekend is going to be busy. There is a lot to do. Do you want to sing? Buy some books? See a football final? Maybe a silent movie? Live music? Poetry being read out loud or a fifties festival? Talk about variety! Friday – almost the weekend! Friday is Daffodil Day and the Cancer Council will be in Hornsby Mall selling daffodil merchandise and raising awareness for Cancer. Your support will help the Cancer Council continue to fund research into the prevention, detection and treatment of cancer and its information and support services. Gordon East Public School, cnr Rosedale and Cameron Roads Gordon hosts Sing Australia, starting at 7:15pm. Anyone can join, no auditions, the most important thing is to enjoy yourself and have fun singing. Giant $1 book clearance fundraising event will be held at the Lifeline Book Depot, corner of Ignatius and Polding Roads, West Lindfield. A vast range of fiction and non-fiction titles in more than 50 categories will be offered and nothing will be priced over $1. All books will be in good to as new condition, with all children’s books priced at 50 cents! This is a fantastic opportunity to pick up an absolute bargain (or ten) and at the same time support vital Lifeline services. Payment is by cash, credit card (MasterCard or Visa) or EFTPOS. This year we will feature some of his early poems which celebrate our unique locality: the bush, the bridge, the harbour, the backdrop to all of our lives. 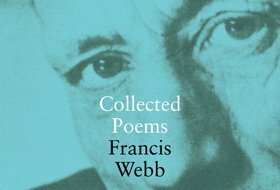 These poems will be read by special guests including Paul Storm, president of the Willoughby District Historical Society, who resides in Webb’s childhood home and students from St Pius X, Chatswood and Christian Brothers, Lewisham of which Francis Webb is a former pupil. 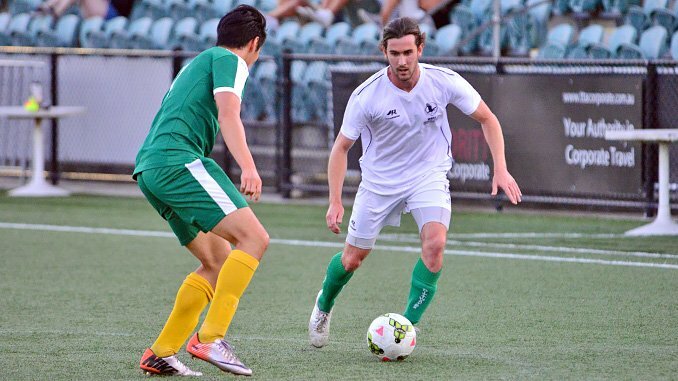 Willoughby Dalleys take on rivals North Sydney United at Northbridge Oval on Sailors Bay Road. Kick-off is at 2:30pm and this is the highlight of the season. 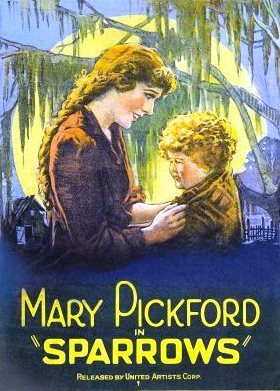 This Saturday at 3pm with John D’Arcy on grand piano the Festival present at the Lindfield Uniting Church 33 Tryon Rd (Cnr Nelson and Tryon Rds, not far from the station) the Sydney premiere of the high definition restoration of Hollywood superstar Mary Pickford’s 1925 acclaimed feature, Sparrows. Prior to the film John Batts shall play the magnificent Jackson Heritage organ to welcome the patrons. Experience an exciting celebration of music by composer and concert pianist, Margaret Brandman, performed by world-class musicians. Presenting a diverse range of musical styles – from the exhilarating sounds of rhapsodies and contemporary classical works, to the captivating rhythms of the Latin and jazz – you can expect the unexpected! 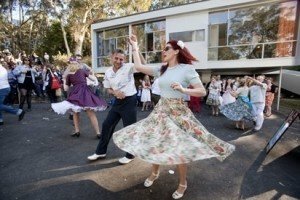 Enjoy a fun-filled day of fashion, entertainment, music, jive and rock ‘n’ roll dancing, classic car displays and roving performers. 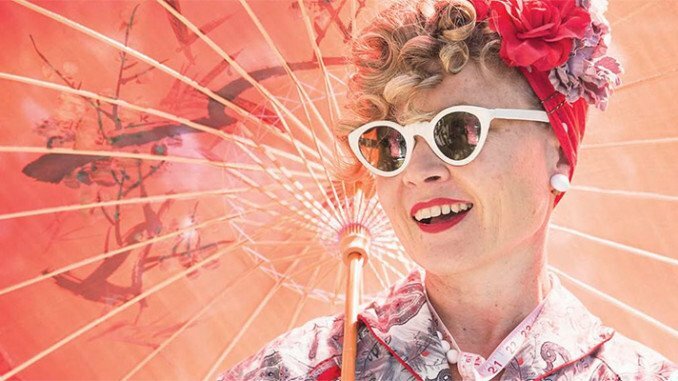 Specialist dealers will be selling the finest in vintage wares and you can step inside Rose Seidler House, Australia’s iconic 1950s home, to see its original furniture and fixtures. A free shuttle bus operates between Turramurra station and Rose Seidler House all day. Due to the unique nature of the site, tickets are limited and must be purchased in advance. There are no door sales on the day of the event. The Sydney Living Museums website is here. 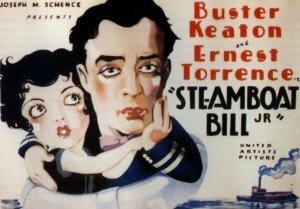 Steamboat Bill Jr. – Buster Keaton, 1928. Keaton stars as William Canfield, Jr., a Boston collegian who returns to his deep-southern roots to reunite with his father, a crusty riverboat captain (Ernest Torrence) who is engaged in a bitter rivalry with a riverboat king coincidentally, the father of Willie’s sweetheart (Marion Byron). Keaton‘s athleticism and gift for inventive visual humour are in top form, and the cyclone that devastates a town is perhaps the most ambitious, awe inspiring and hilarious slapstick sequence ever created.